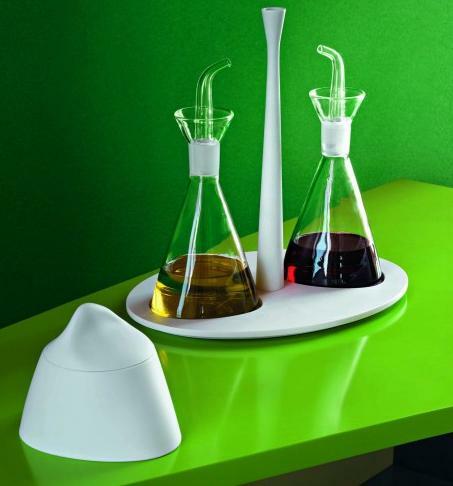 Collection of cool oil and vinegar sets for your kitchen from all over the world. 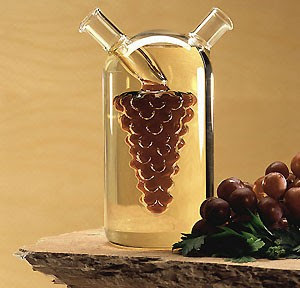 Grape Oil and Vinegar Set: A beautiful and convenient set that stores and serves oil and vinegar in one container. Bodum Barrique Oil and Vinegar Set: Made of borosilicate glass; this set serves oil and vinegar with contemporary flair. 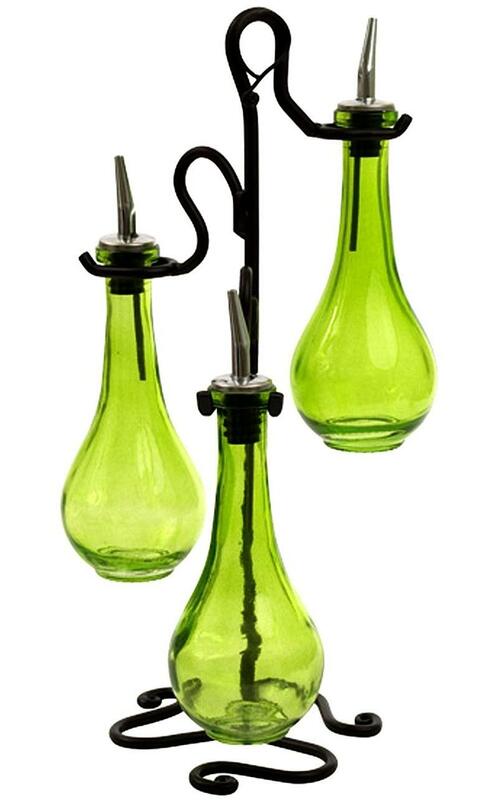 Grape Bunch Oil and Vinegar Set: The grape set made of borosilicate glass is elegant, durable and practical. 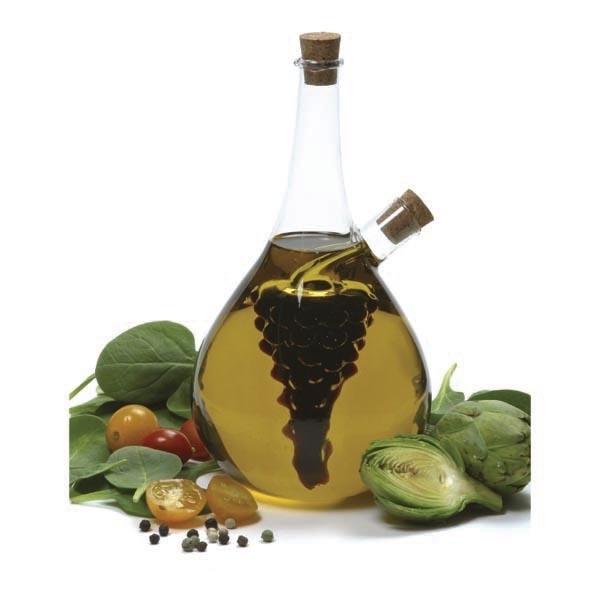 Roman Olive Oil and Vinegar 3 Pieces Set: These beautiful jewel color glass gourmet vinegar and oil bottles come with black iron stand and stainless spouts. 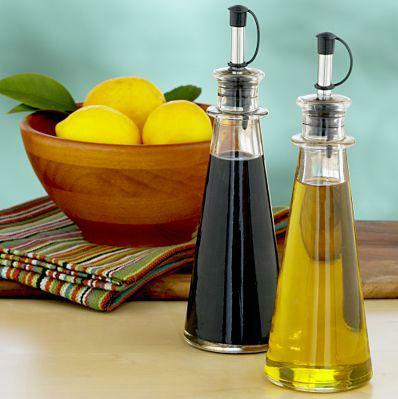 Oil and Vinegar Bottles: These sleek designed oil and vinegar bottles will enhance your countertop or tabletop; these come with rubberstoppers that keeps your premium olive oils and vinegars fresh. 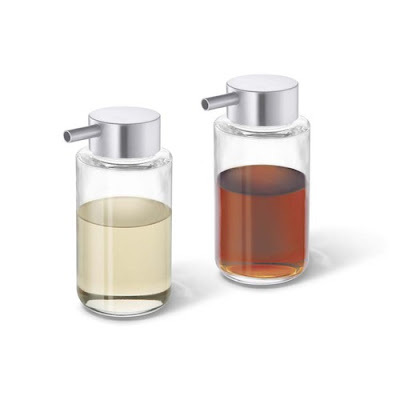 Zack Contas Oil and Vinegar Set: These are designed in Germany. 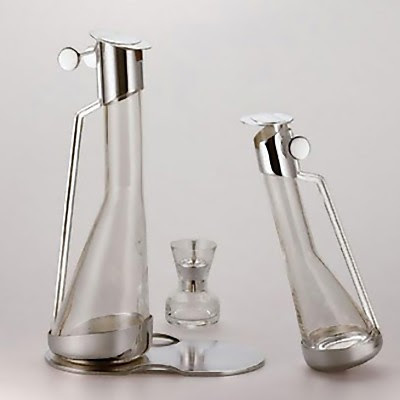 Oil and Vinegar Set: This glass oil and vinegar set with stainless steel stand perfectly stores and serves a wide range of oils and vinegars. 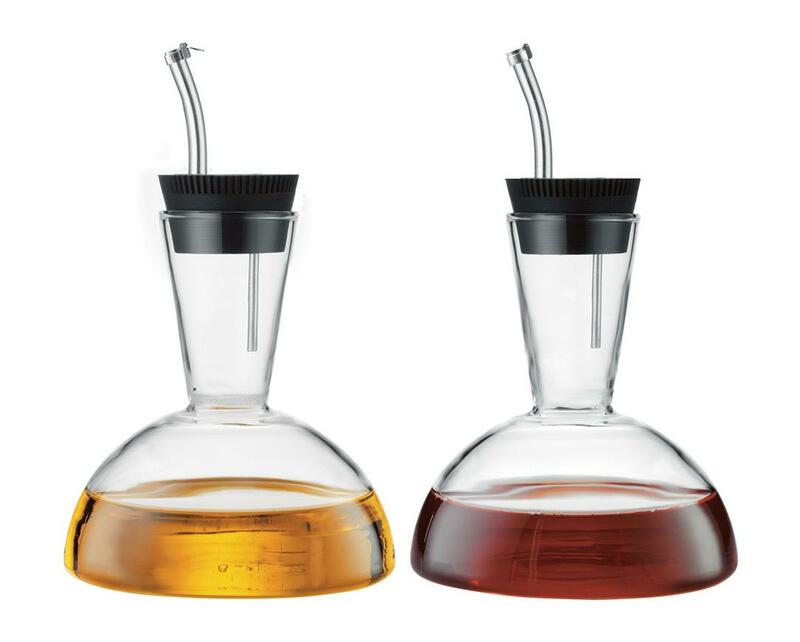 Ichendorf Oil and Vinegar Pourers: These double walled pourers look great on any table or kitchen. 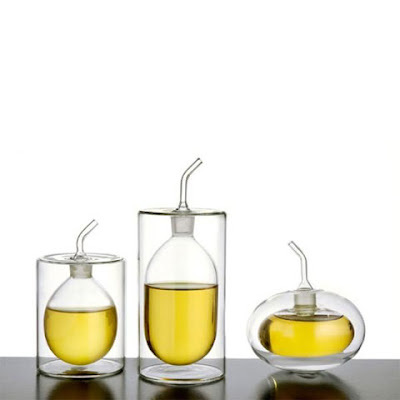 Achillle Castiglioni Oil and Vinegar Set: This oil and vinegar set made of glass comes with a stand in steel mirror polish. Newbridge Oil and Vinegar Set: This ceramic oil and vinegar set is a combination of style with innovation. Perfect Mix Oil and Vinegar Bottle: It comes with separate buttons on the lid for pouring only oil, only vinegar, or both together. Just fill the dual glass chambers with your favorite gourmet oil and vinegar and pour through the dripless spouts. 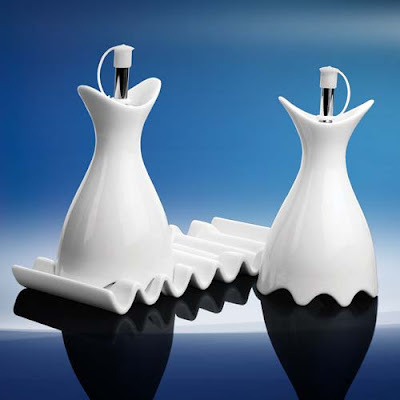 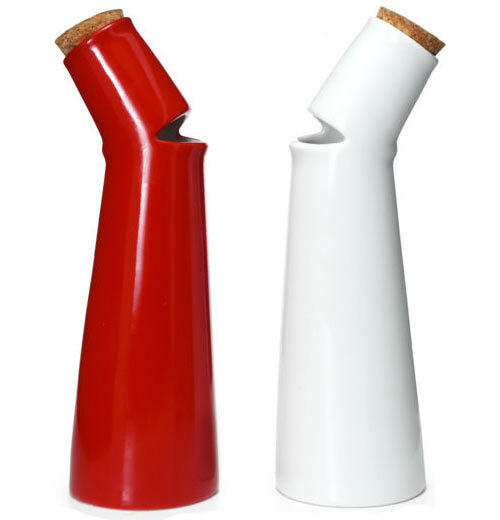 Salad Song - Oil and Vinegar Set: The unusual porcelain sets' pouring spouts oddly resembles singing mouths. 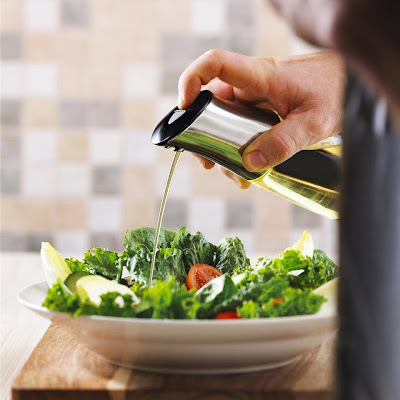 Fustino - Stainless Steel Olive Oil Container: This decorative stainless steel container holds up three liters of olive oil and features a screwtop lid, two handles and a dripless nozzle that serves perfectly. Squeeze Bottles with Stainless Steel Tops: These perfectly stores and serves oil and vinegar. 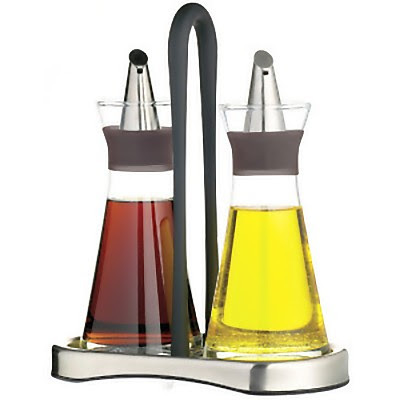 Don't miss to check out "Cool Oil and Vinegar Sets For Your Kitchen - Part: 1| 2."